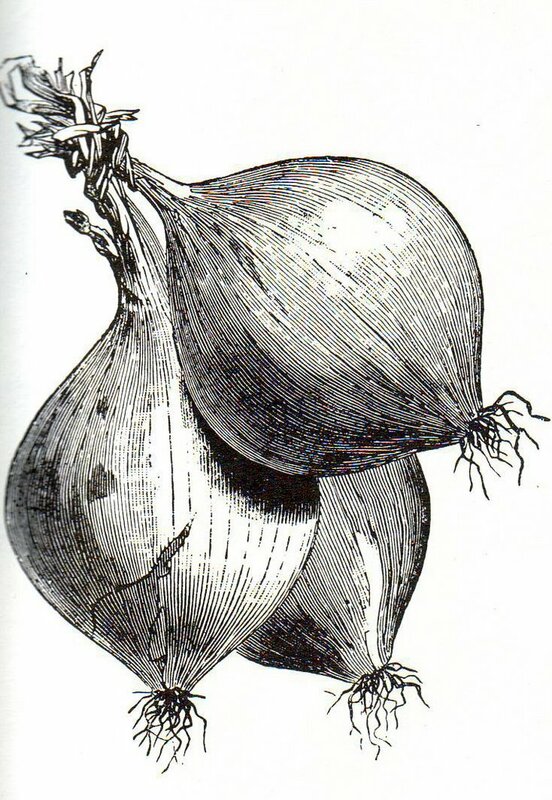 The Old Foodie: Nelson’s Onions. HMS Victory, with Admiral Lord Nelson aboard, was moored off Cadiz on this day in 1805. He was waiting the opportunity to engage England’s greatest enemy, Napoleon Bonaparte, and took the opportunity to write to the captains under his command on routine matters of victualling. …. Having frequently known that onions have been purchased on account of Government when in Port, where the Pursers could and ought to purchase vegetables to put into the Ships Companies’soup, and that the onions so purchased by Government for recruiting the health of the Ships’Companies, have been used for the benefit of the Purser, by putting these vegetables into the soup, which the Purser should be obliged to purchase when to be procured; it is, therefore, my positive directions that the Pursers are obliged to purchase vegetables for the Ships’ soup when it is possible to procure them; and that the Government onions are not used for the soup, if the Purser has the power of obtaining onions or other vegetables, as he is bound to do. And it is my further directions, that whenever fresh provisions can be procured on reasonable terms, that it is purchased; but that onions, for the account of Government, are not purchased without my orders. Ships, absent for any length of time from me, are at liberty to purchase the gratuitous onions of Government for the recruiting the health of their Ships, Companies, who may have been long fed upon salt provisions. Nelson’s letter indicates that he believed onions were important for the health of his seamen, and he seems to be indicating that the “Government Onions” were to be eaten raw when possible. The greatest health problem of seamen on long voyages was scurvy due to Vitamin C deficiency, and Nelson had suffered its ravages as a young man. Perhaps he thought onions would be help? The knowledge of scurvy prevention had been discovered, forgotten, rediscovered, disputed, and lost again repeatedly for centuries, but the British Navy was, thanks to the work of James Lind in 1747, by that time supplied with citrus juice in various forms. It is possible that the ability to remain at healthy at sea for long intervals without the need to re-provision was a factor in Nelson’s victory because it enabled the Navy to maintain its prolonged blockade of the French coast without returning to re-provision. Eleven days later after he wrote this memo Nelson was dead, shot in the spine in the final hours of the Battle of Trafalgar, but not before he knew that he had soundly defeated Napoleon and ruined for ever his dream of conquering all of Europe. To boil Onions that they shall taste as sweet as Sugar. Take the largest Onions, and when you have cut off the Strings of the Root, and the green Tops, without taking off any of the Skins, fling them into Salt and Water, and let them lie an Hour; then wash them in it, and put them into a Kettle, where they may have plenty of Water, and boil them till they are tender. Then take them off, and take off as many Skins as you think fit, till you come to the white part, and then bruise them and toss them up with Cream or Butter, if you use them with boiled Rabbits or under a roasted Turkey; but in the last Case, this Sauce should be served in Basons, or on Plates. You may also bruise them and strain them through a Colander, and then put Cream to them, which is esteemed the nicest Way for a Turkey: or if you don’t bruise them, you may warm ‘em in strong Gravy well drawn, with Spice and sweet Herbs. And when that is done, thicken the Gravy with burnt Butter, adding a little Claret or white Wine, or for want of that a little Ale. This is sauce for a roast Turkey, roast Mutton, Lamb, &c.